Any time there is a celebrity death, whether as a result of an accident, disease or by the individual’s own hand, there is a media frenzy related to the cause. Too often these stories relate to substance abuse, but sometimes, equally as tragic, we find the person involved has battled mental health issues for years. It doesn’t matter if you’re a celebrity or Average Joe, the fact is depression, anxiety, and other mental health disorders cross all socio-economic, ethnic, racial, and spiritual boundaries. Too often, individuals fail to get the help they need because they don’t know where to turn. 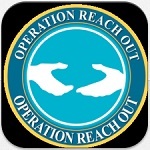 Operation Reach Out was created with the specific intent of preventing suicides within the military. The app comes pre-loaded with phone numbers for suicide prevention hotlines, and users can customize the app to add a contact for someone to reach out to when they are in crisis. Although the app was created for military personnel and their families, it is a valuable resource for anyone. The app offers videos for the individual battling suicidal thoughts to help gain perspective on their problems and offering possible solutions. There are also videos for those trying to prevent a suicide with essential information such as what not to say, determining if the individual has overdosed, and helping them understand that help is available. 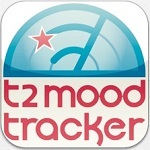 Developed by the Department of Defense National Center for Telehealth and Technology, T2 Mood Tracker allows you to monitor your mood for six different pre-loaded behavioral categories: anxiety, stress, depression, brain injury, post-traumatic stress, and general well-being. Users rate their mood by sliding a bar across the screen and results are displayed in an easy-to-read chart that tracks results over time. To make the charting even more effective, users can add notes about events or medication changes that may have impacted their mood on that day. Mental health experts agree a good night’s sleep is an invaluable resource in achieving and maintaining good mental health. Unfortunately, insomnia is often an issue and may even be a side effect of medication. 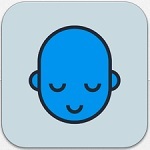 DeepSleep is a guided meditation to help individuals turn off racing thoughts, relax, and fall asleep naturally. Suitable for beginners, the app allows you to set sleep and wake timers, and helps users slow racing thoughts and fall into a deep restful sleep. Although not intended to replace a mental health professional, DBT (Dialectical Behavioral Therapy) is designed to help individuals with personality disorders. Developed by Duke University Medical Center, DBT Diary Card offers coaching resources, reinforces tools from therapy, allows users to add personal goals and send their diary directly to their DBT coach. Developed by a team of psychologists, computer scientists and student users, Self-Help for Anxiety Management combines established self-help methods with the support of a closed group of users. With 25 self-help options, an easy to read interface, user guides, and links to external resources, SAM is a great resource for individuals looking to manage their anxiety. 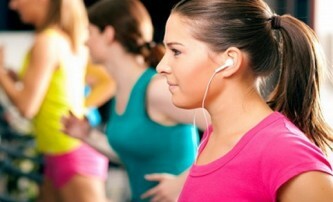 SAM can be used independently or in conjunction with work individuals are doing with their therapist. The app is intuitive in that you can tell it how anxious or worried you are and it will guide you step-by-step through methods to reduce your stress. 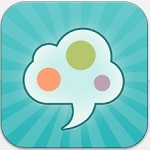 Users can customize the app to create their own Anxiety Tool Kit as a ready resource for managing stress and anxiety. The most important thing is that whether you or someone you love is struggling with mental health, help is available. 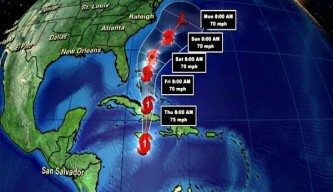 Life is a journey and there will always be twists, turns and detours, sometimes even disasters. When those times come and life overwhelms, ask for help. If you don’t know where to start, MentalHealth.gov offers links for crisis and long term support. Tracey Dowdy is a freelance writer based just outside Toronto, ON. After years working for non-profits and charities, she now freelances and researches on subjects from family and education to pop culture and trends in technology.